Our expertise will provide solutions to any Information Technology problem. Long Island Computer Repair brings enterprise level skills and IT Support technology to the small and medium sized business. Fast and Reliable Computer Service, Windows Clean Installs, Hard Drives Replacements, Data Migration, and more. Computer Repair Services. Blue Screen of Death, Hard Drive Replacement with Data Transfer, Keyboard, Screen, Memory Replacement. Laptop Repair Services. Windows Server Installation and Support, Computer and Network Security, Fast Response to System Down Calls, Networking, Cable Runs, Active Directory. Fake Antivirus Scans and Infections, All Your Files Disappeared? Can't Open Any Programs? Ransom Virus Removals, Virus or Spyware Removal for Home or Business. Custom Web Design, Search Engine Optimization, Custom Software and Web Applications, Responsive Websites, HTML5, WordPress, HTML. Passionate about technology for over 17 years. We've seen and dealt with everything. Customer Satisfaction is our # 1 priority. From Server 2003 to the new Server 2016. We can repair any computer or laptop. We love web design and SEO. We are still perfectioning good joe, though. Providing IT Services to Long Island Since 1997. Get Your Free Business Technology Assesment Today. 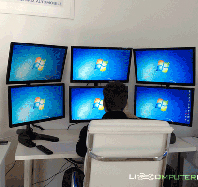 Call us today today for a free Network, and Security assesment of your Microsoft Windows network. Plain English explanation of where your network stands. Long Island Computer Repair offers Network Consulting services -information technology solutions for your businesses in Suffolk and Nassau Counties on Long Island. Our computer repair services strategically focus on supporting mission-critical systems through our proven technology solutions. Is your computer in need of repair? Not booting up or just getting very slow? Need to recover data from your crashed computer? No matter what the problem is, you can count on Long Island Computer Repair to provide you with the proper and prompt solution. We setup, secure, repair and troubleshoot computer networking for homes and businesses. Does your office need help setting up a Local Area Network (LAN), or is it in need of network or phone cable runs? Do you want to share your resources with other office or home users? Do you want to connect your computers at home? 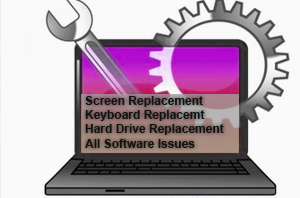 Often laptops that won't boot up or power on can be repaired without being sent back to the manufacturer. You may have some corrupt system files or simply a loose or defective part. You don't have to lose your files to get it fixed. Call us to find out if your data can be recovered. Real customers who have left us a note of appreciation on Google Reviews for your Local Long Island Computer Repair.